LOWER EAST SIDE — Casual snackers, be warned — the owner of new popcorn shop on Orchard Streets uses terms like "a great canvas" to describe what many of us munch mindlessly in a darkened movie theater. Self-described "snacking expert" Jean Tsai, who opened Pop Karma Monday at 95 Orchard St., prefers her artisanal kernels to be the star of the show — and healthy, too. That doesn't mean they aren't addictive and tasty. "I snack all the time," said Tsai, 40. It's her years of first-hand snacking knowledge that led her to create specialty popcorn in exotic flavors that offer a mindful alternative to the theater's butter-soaked sludge. Using only organic corn, and seasoned without the use of processed foods, the "clean" popcorn, as she calls it, will tickle tastebuds with inspiration from around the world. Pop Karma will regularly stock flavors like "Pure Caramel," "Zen Cheddar" and "Mediterranean" — which includes simple olive oil and salt — while three seasonal flavors will change monthly. The opening-day flavors include a lime and coconut blend called "Margarita," a white truffle and cheddar popcorn, and even barbecue. Tsai loves the freedom the product gives her to experiment, but she said producing without the use of oil helps. While movie theaters use heated oil to pop their corn, Tsai's low-calorie method pops with only hot air. "Popcorn is a great base. It's a good canvas," she said. All of Pop Karma's ingredients are made from "whole foods," Tsai noted, meaning everything is unprocessed — all the way down to the cold-pressed olive oil she uses for seasoning, which she gushed about on the company's site. It retains its flavor by never having been heated, Tsai added. She credits pivate chef Stephane Lemagnen for helping concoct the crafty but clean recipes, pointing to the ingredients in the "Pure Caramel" flavor — vanilla, brown sugar, agave to reduce the brown sugar content, and real butter — as examples of what "all natural" should be like. "I have always wanted to snack on a clean product," Tsai said. 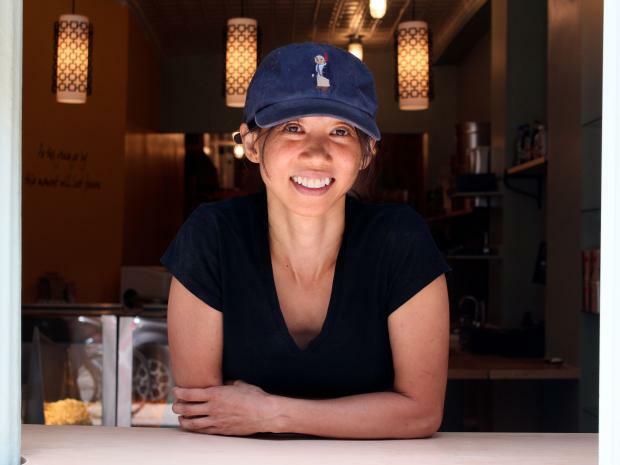 Even as popcorn becomes the next "it" nosh, with another popcorn-only store opening in Greenwich Village last month, Tsai, who has worked as a financial analyst, said she has been sitting on the business idea for a decade. She thinks her healthy take on the classic snack will be a hit. "It has more antioxidants than two servings of fruits and vegetables," she said, citing a recent study from Scranton University on the snack. 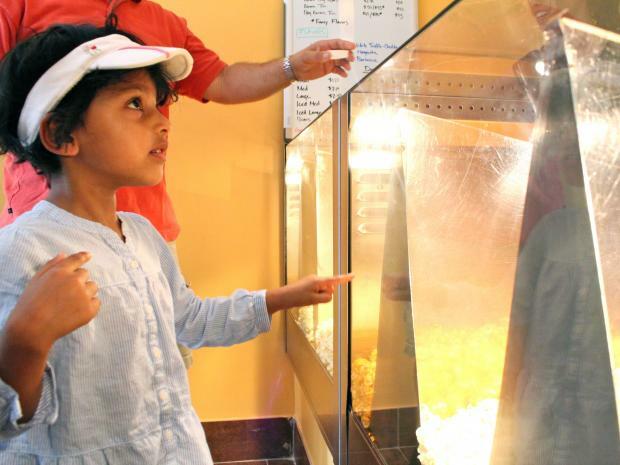 Among the first customers to taste it was Para Rajparia, a Lower East Side resident who brought along her 4-year-old daughter Amalya to sample the much-anticipated addition to the neighborhood. "It is a fun outing," she said. "Many people think of this area as just bars." For parents and kids, the quick-hit snack will be a welcome change from the usual ice cream or candy offerings, Rajparia said. Ross Kessler, a popcorn purveyor on vacation from Chicago, came in to gauge what New York's snack market had to offer. "It is all about volume in Chicago, but this is more quality," said Kessler, who owns Popcorn Jester. While the margarita flavor didn't win his heart, but the barbecue did. "People like to snack a lot," he said of what is fueling the current popcorn revival at boutique shops like Pop Karma and farmers markets. As for Tsai, who also has a background in product management, she hopes to glean a few customers from the other specialty stores on the Lower East Side, as well her neighbor, the Lower East Side Tenement Museum. Pop Karma will also offer coffee, tea and artisanal sodas while selling popcorn online and providing it for events, with a longer-term goal of going wholesale. But for now, she said, the brick-and-mortar approach is perfect. "It is a destination neighborhood," Tsai said.